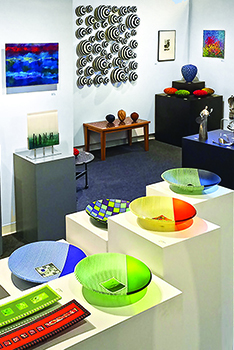 The Gallery pages present a sampling of our ongoing group exhibit of contemporary fine craft. Select from the menu at left and view images of gallery artwork in clay, fiber, glass, metal, wood, and mixed media. Note: Please contact the gallery for the current availability and price of specific pieces.